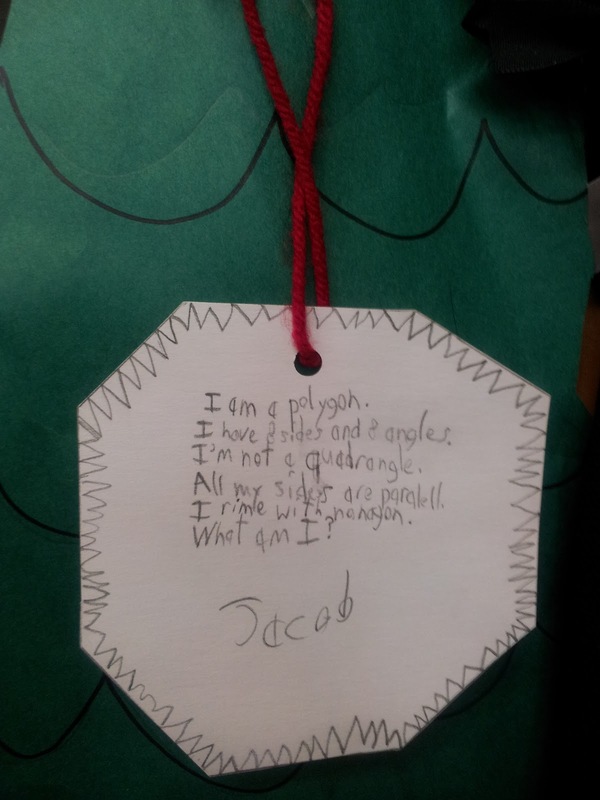 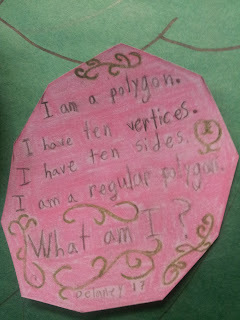 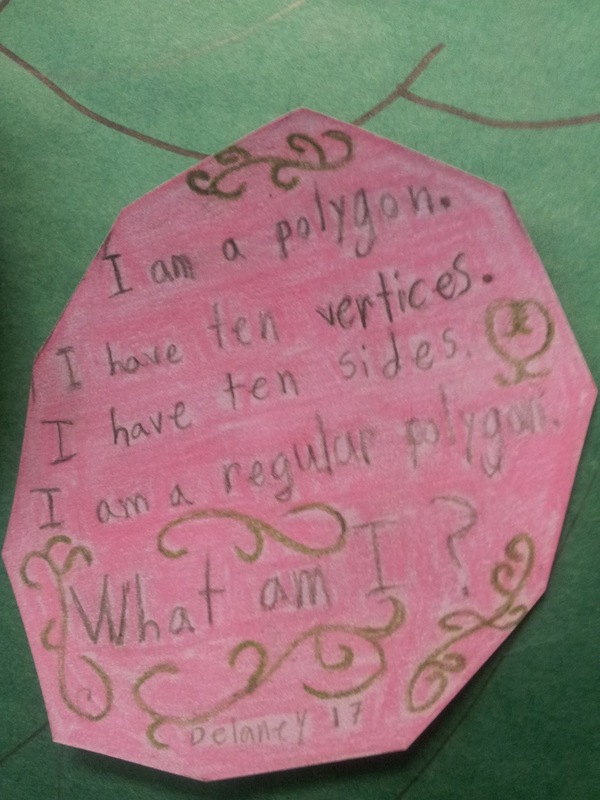 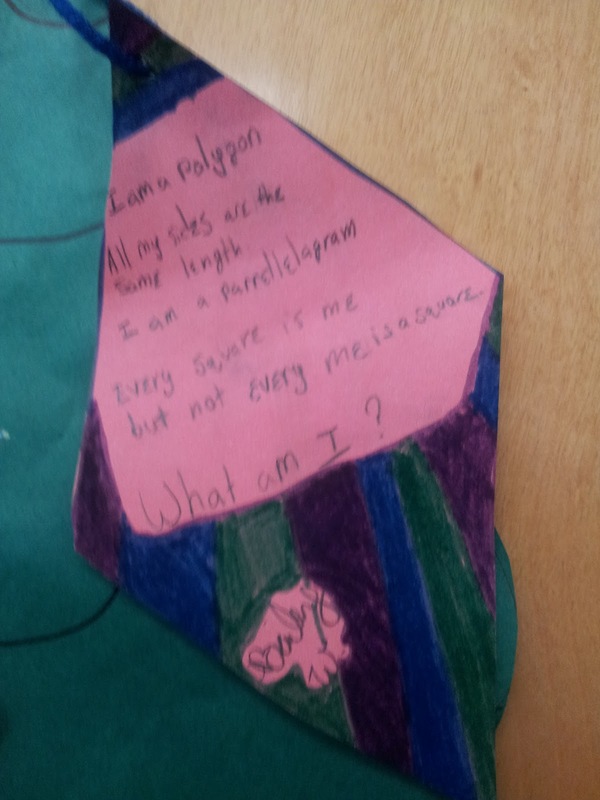 In math, we wrote used the properties of polygons to write polygon riddles and one day after school, McKenzie and Jaden came up with the idea to make them into ornaments for a holiday tree on our classroom door. 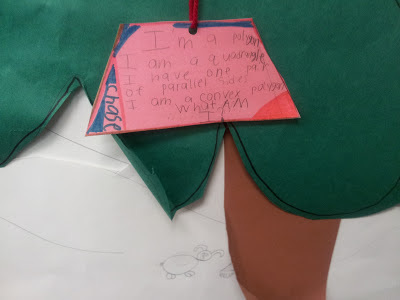 Since it was their idea, they designed and created the trees, the snow, the sign, and the name on the sign ("Ornamental Polygons"). When it was time to actually hang the ornaments, Mariah and Bailey came up with the idea to use yarn and actually hang them on the tree, so they took over hanging all the ornaments. 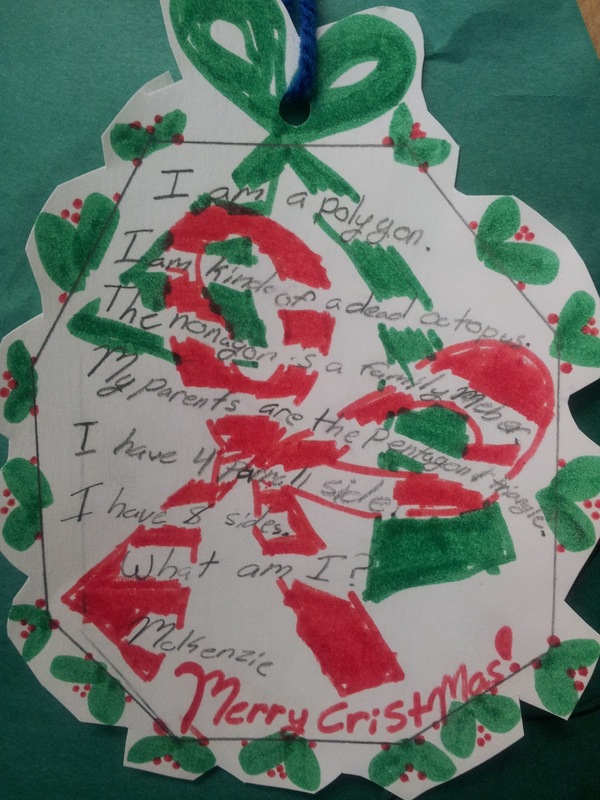 Mariah also had the idea for the stars on top of the trees, so she made those as well. For the ornaments, we wrote the riddles inside and the shape of the ornament is supposed to be the answer to the riddle. 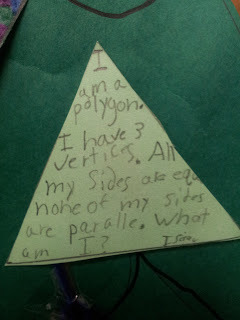 Some of the polygons some of us chose were really difficult to draw--especially the polygons with multiple pairs of parallel sides! 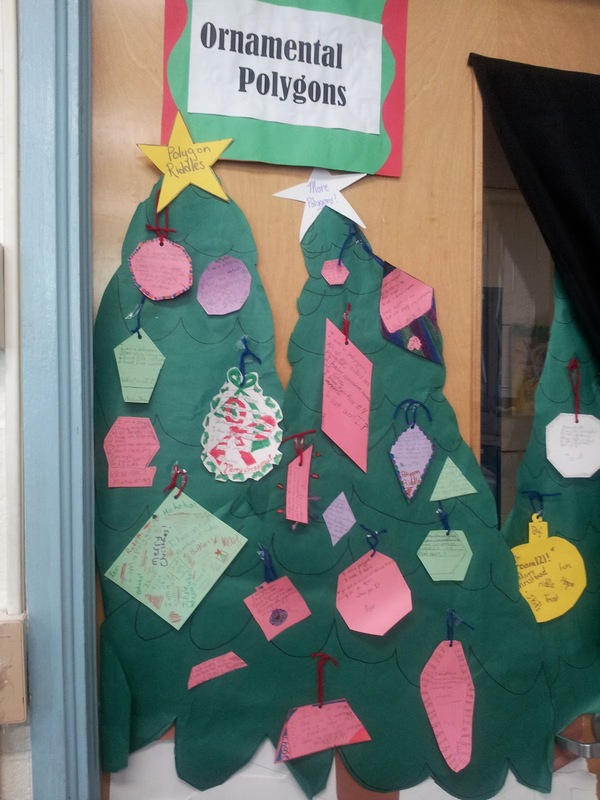 Love this idea - will save it for next year!